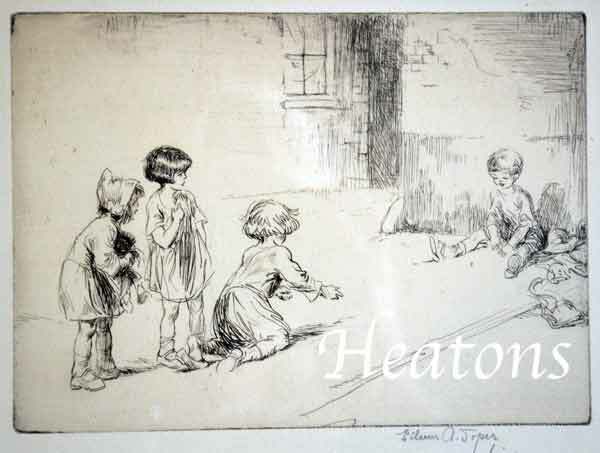 Eileen Alice Soper (Enfield, Middlesex, 26 March 1905 - 18 March 1990) was an etcher and illustrator of children's and wildlife books, born in 1905 was the second daughter of artist, George Soper (1870-1942), who was an engraver, etcher and illustrator. 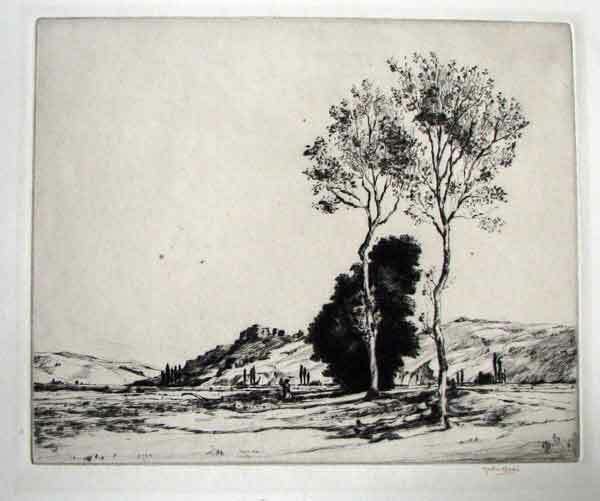 In 1921 at the age of fourteen, Eileen had her first exhibition at the Print Makers Society of California in Los Angeles. 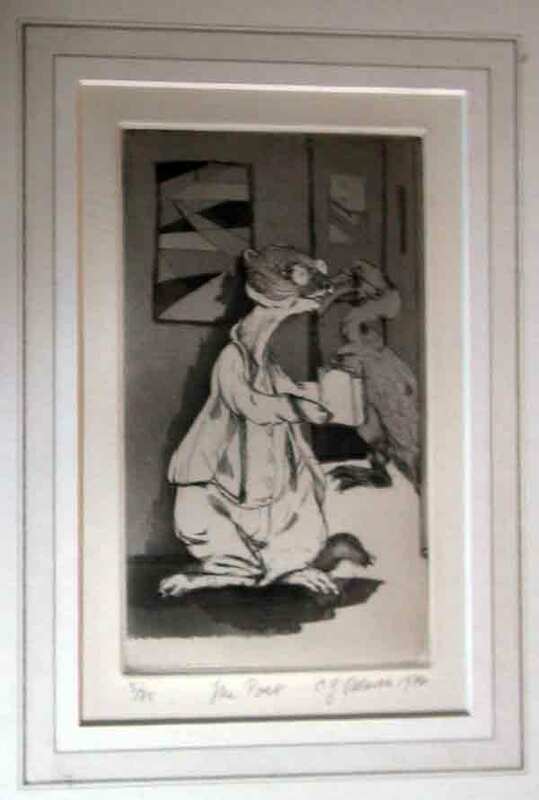 Four of her prints were hung and two of these were later hung in The Royal Academy in London making her the youngest artist ever to exhibit her work there. 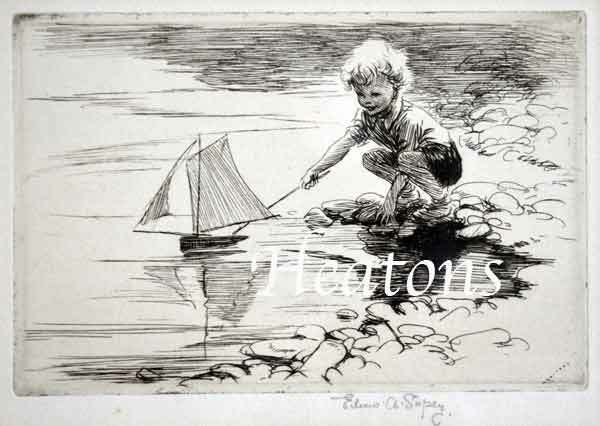 She continued to produce around 180 etchings mostly of children at play into the early 1930s. 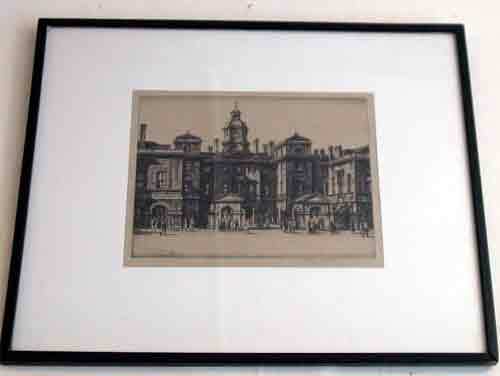 Queen Mary bought two of her etchings, among them 'Flying Swings'in 1924. Her work was popular and well received and shown in the UK and the USA. Clean no defects new frame as original one had fungi growing ! 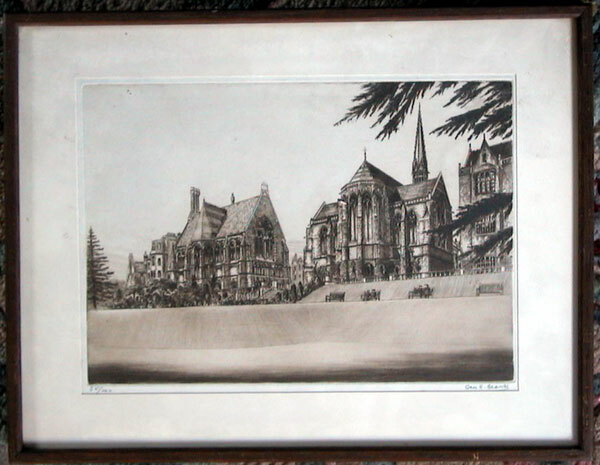 Signed proof impression from the only published edition, as issued by H.C. Dickins for her. 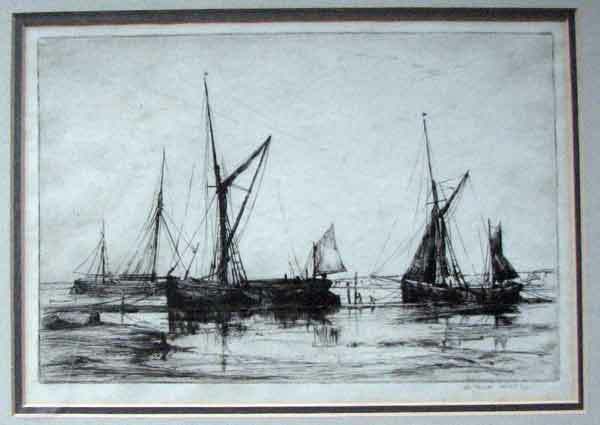 Windsor Sir Francis Seymour Haden, R.A., P.R.E. 1818-1910. Windsor. 1878. Etching. 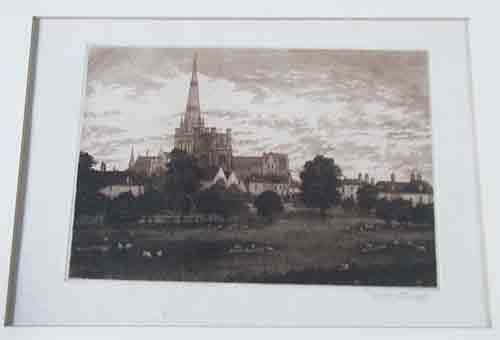 Edition of 50 in this state, confusingly numbered D103 base left , published by the Fine Art Society London . 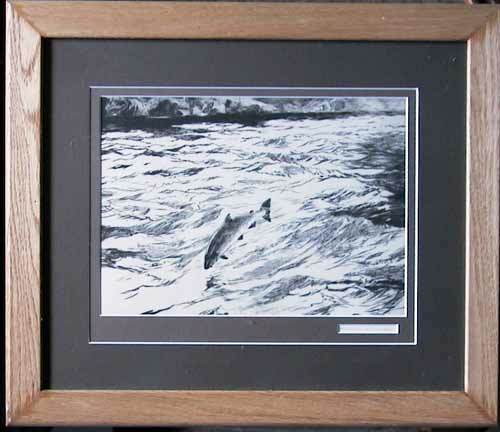 A fine impression printed on cream wove paper with full margins. 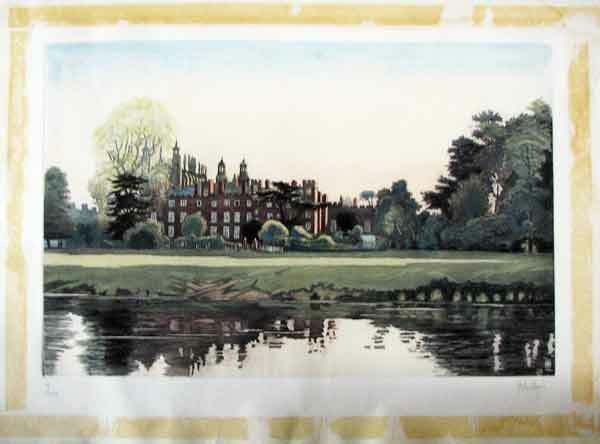 Showing a swimming hole on the Thames, used by Eton College residents. Windsor Castle is in the background. Signed in pencil. £650 inc delivery ( to the USA etc rolled as too large for flat) HUGE ! 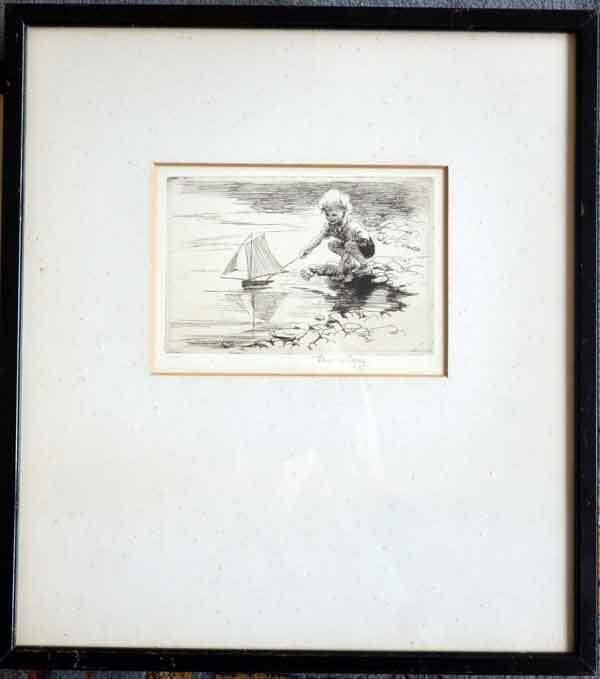 Condition " Full page as sold never trimmed or framed bought as part of a folio crease from edge in margin right side slight buckling to top right corner from folio ( remedy a mount). 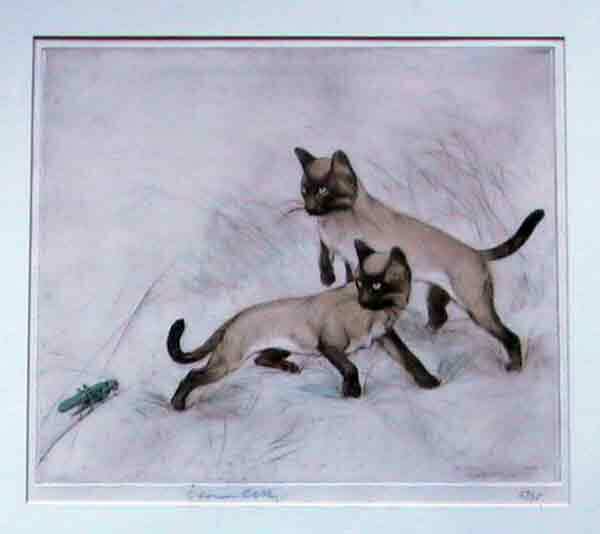 Coloured drypoint etching, 23 of an edition limited to 75, Framed Glazed in perfect order £425.00 George Vernon Stokes (1873 - 1954) Painter in oil, watercolour and pastel of animal subjects and landscapes; etcher and illustrator. 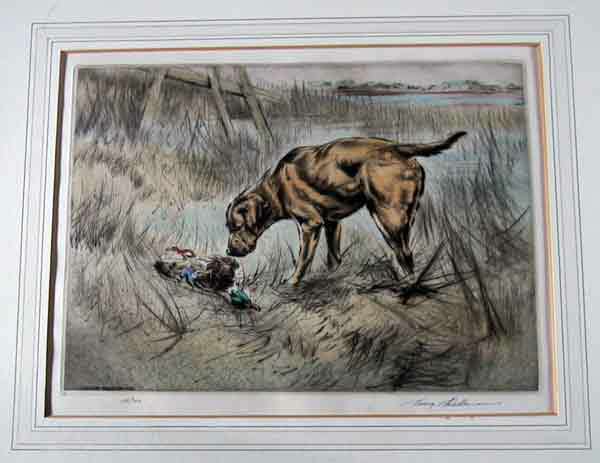 He contributed illustrations to magazines and books on dogs and natural history. 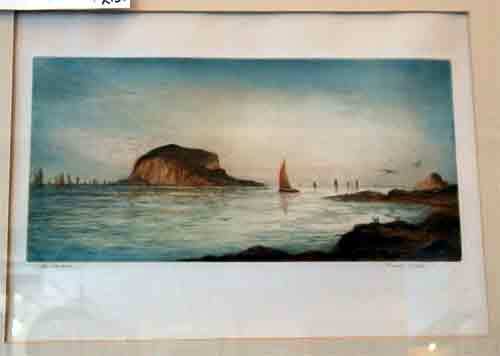 Exhibited at the RA from 1907, RBA and provincial galleries. 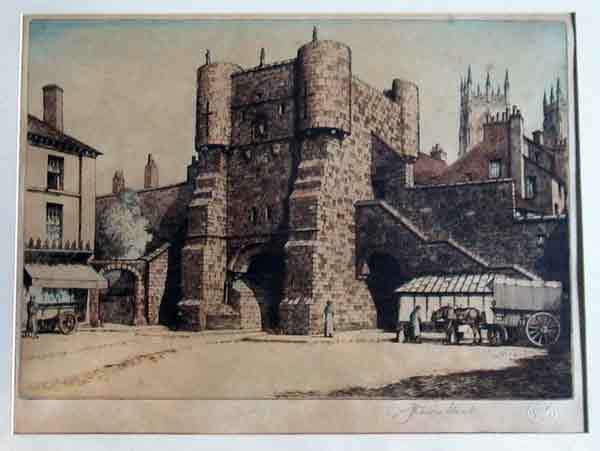 He lived near Carlisle for some years and later near Deal in Kent. 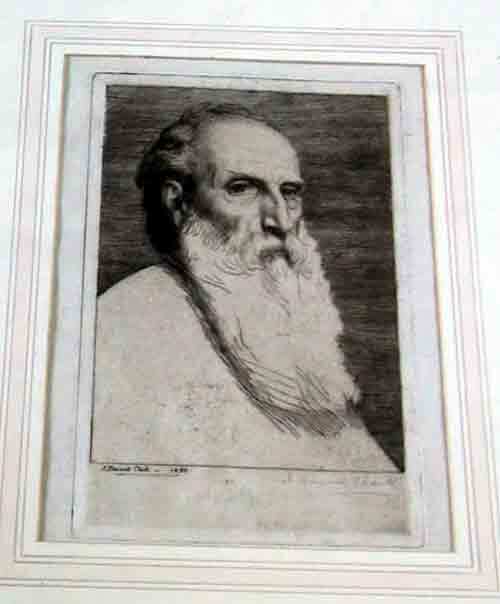 Alphonse Legros was born in France but moved to England in 1863 on the advice of his friend, Whistler. 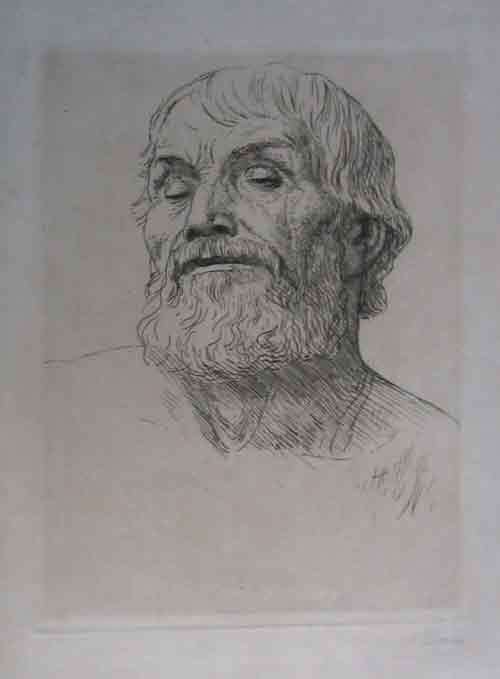 He became a citizen in 1881, but never completely grasped the English language.A master etcher of figure subjects, portraits and landscapes, Legros assumed the head professorship of etching and engraving at the Royal College in South Kensington in 1875. 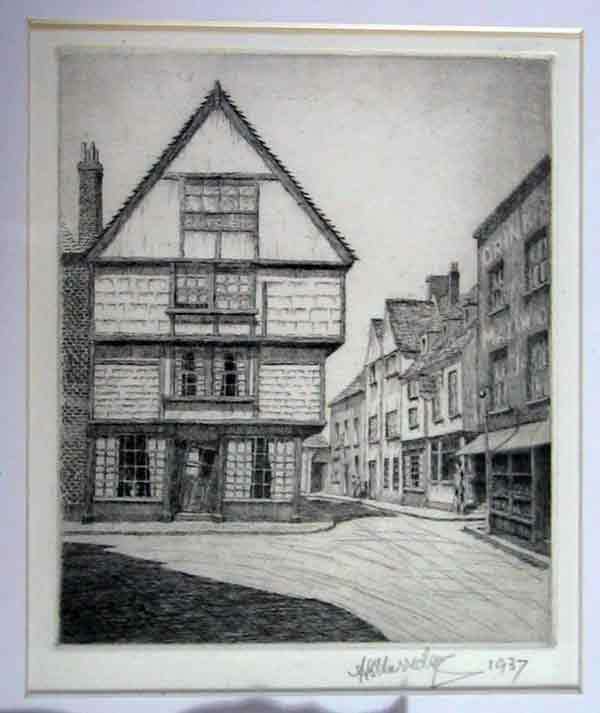 He later became the professor of art at the Slade School of Art, London. 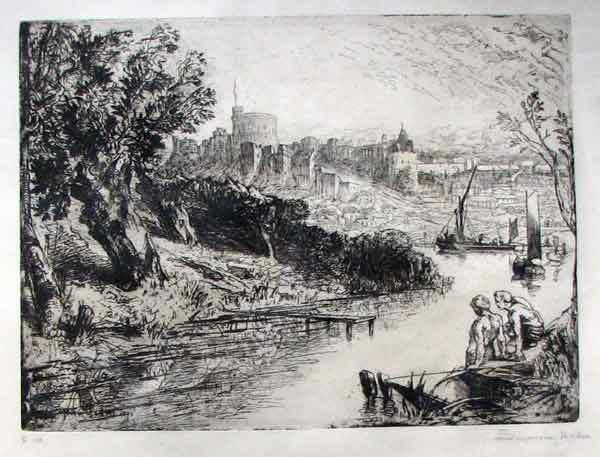 He was one of the group of artists who proposed the idea of the Société des Aquafortistes to the French publisher Cadart in 1862 and was a founder member of the Society of Painter-Etchers in London in 1880. 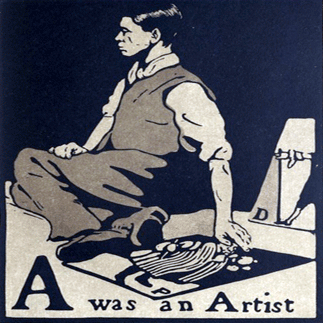 From this position he fashioned a standard and influenced many younger British artists, most notably William Strang, Charles Furse and Charles Holroyd. 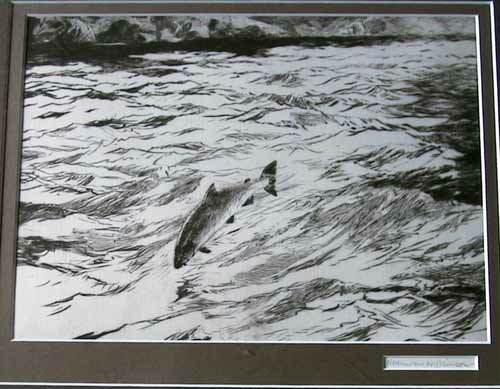 In total Legros's graphic oeuvre runs to 704 etchings. Most of Legros's figure subjects were inspired by the artist's early impressions of French peasant life. 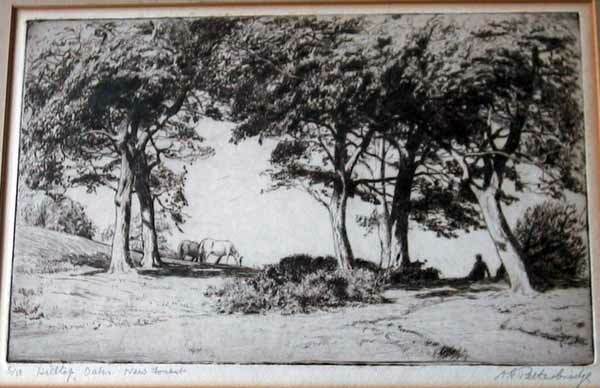 Influences upon his art in this area have been traced to the paintings and drawings of Gustave Courbet and the art of Goya and the Spanish School. 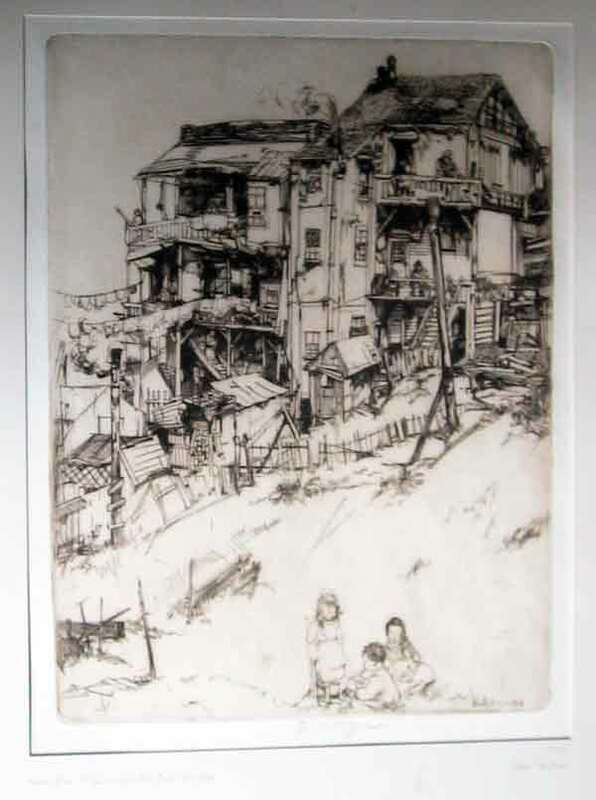 North End of Telegraph Hill, San Francisco, by John W. Winkler , (Austria, 1890 - San Francisco, 1979) Etching, signed in pencil to lower margin, also signed and dated 1918 in the image , £425 inc plate size approx. 242 x 180 mm (9.5 x 7 ins) framed and glazed . 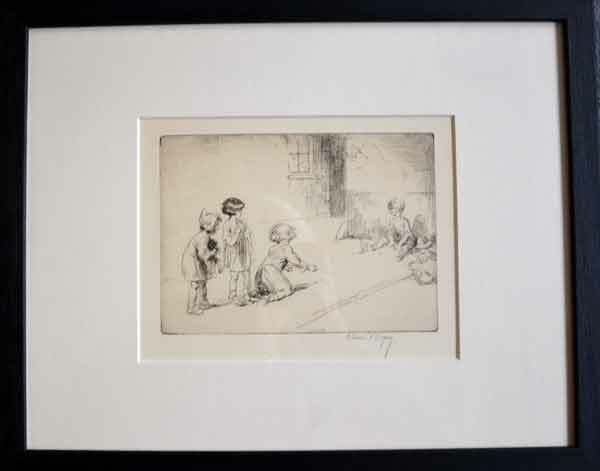 In original frame clean and perfect One of the finest American etchers of the early twentieth century, J. W. Winkler was born in Austria settling in California early in life. 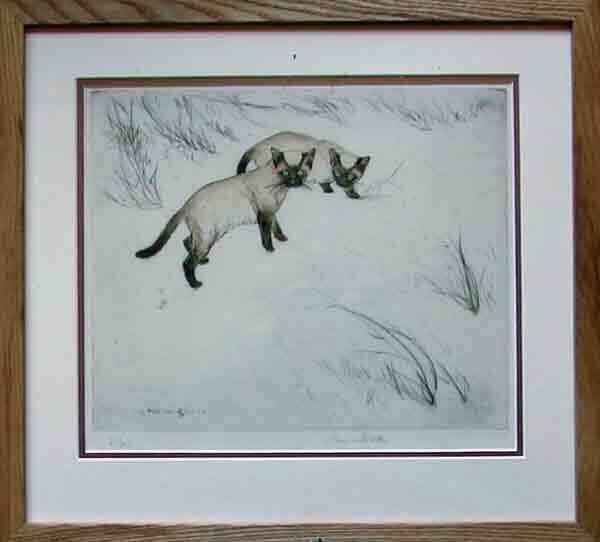 Winkler studied under Frank van Sloun at the California Institute of Arts and published his first original etching in 1915. 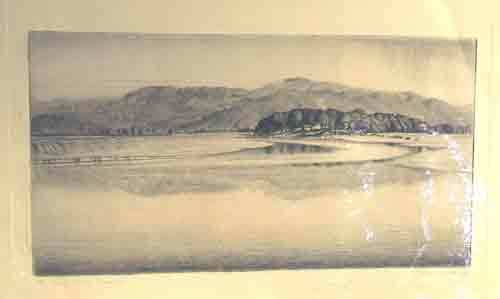 During the following eight years he established a large national reputation for his etchings, the great majority being depictions of San Francisco and its environs. 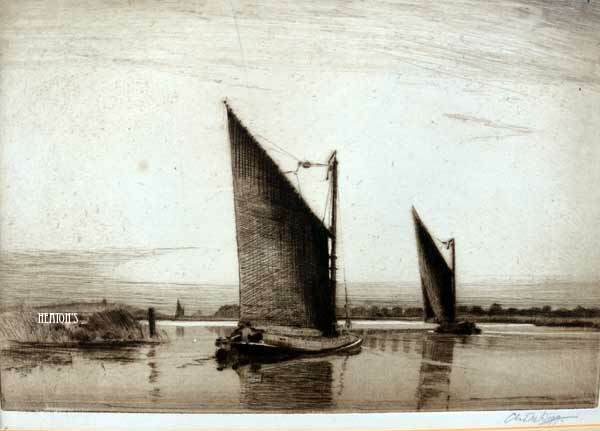 By 1923 he had created 88 etchings, which were often compared to the work of Whistler, particularly the Whistler etchings found in the 'French Set' and 'Thames Set'. 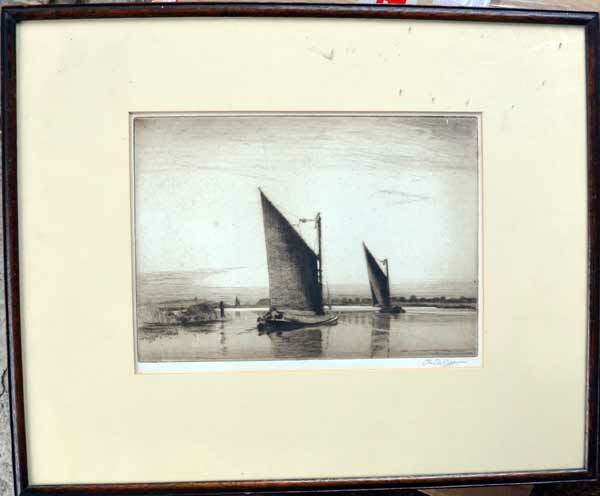 Like Whistler, John W. Winkler had the ability to capture life and movement with the utmost simplicity.  One Winkler scholar wrote, "His technique is so eminently suited to all that he wished to express that it has been little modified during these ten years past. 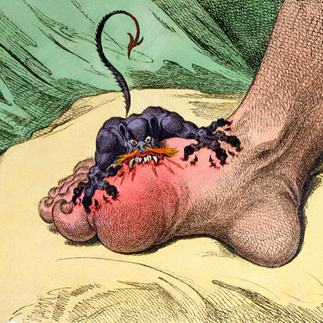 He makes no preparatory designs, sketches or tracings; his impatient nature at no time permits of his delaying from attacking the copper once he has found the motive of the composition. 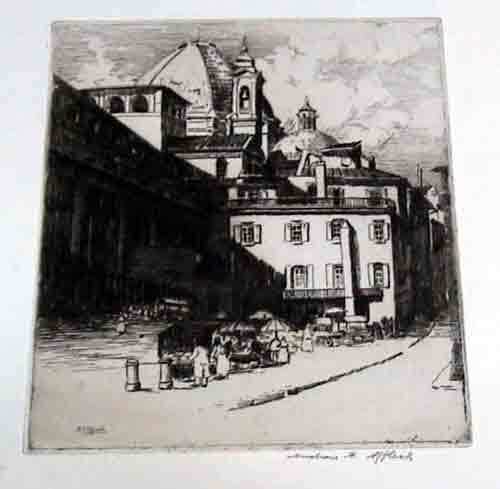 All his plates have been etched directly from nature, after long search and careful observation, in the bustle of the streets or amid the coming and going of the passers-by." 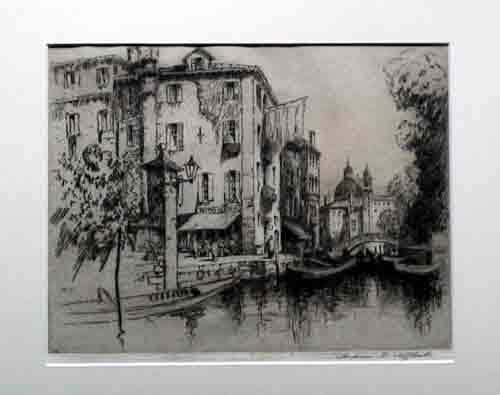 In 1923, John Winkler moved to Paris and resided in that city until 1930. 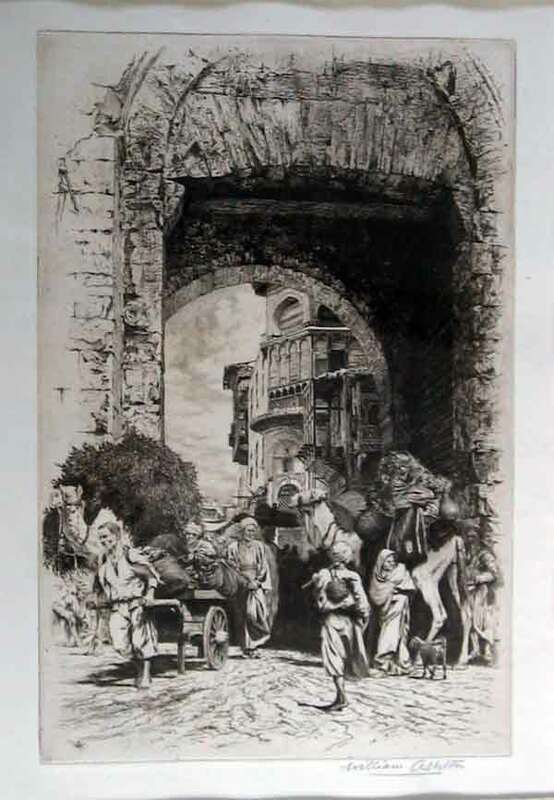 During this time the artist produced etchings of Paris streets and its occupants as well as landscape views of Normandy and other provinces. Ferme, Normandie (Farm, Normandy) was commissioned by the Paris art journal, Gazette des Beaux-Arts, in 1924. It is a fine example of Winkler's masterful use of line and space. 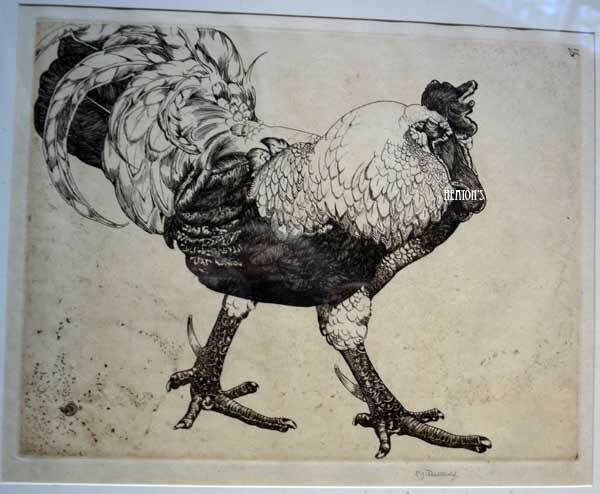 Returning to the United States, John Winkler became a full member of the Chicago Society of Etchers, the Brooklyn Society of Etchers and the American Society of Illustrators. 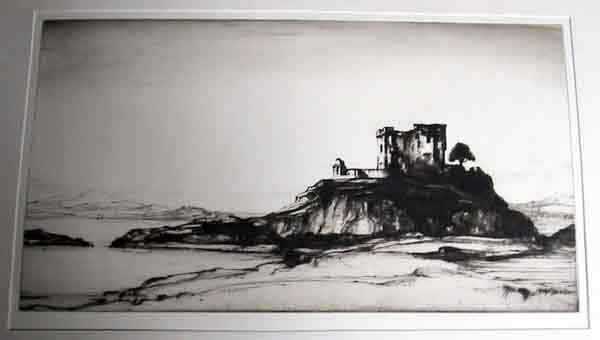 In 1936 he was admitted into the prestigious National Academy of Design. 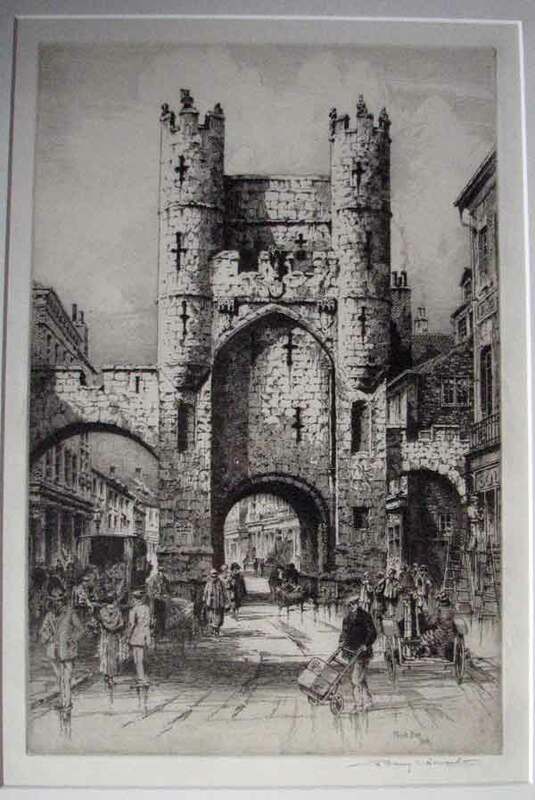 Venice Byway Affleck was an Ayr painter and etcher who specialised in architectural subjects,ranked with Hedley Fitton and Axel Haig,also produced a few landscape and topographical scenes. 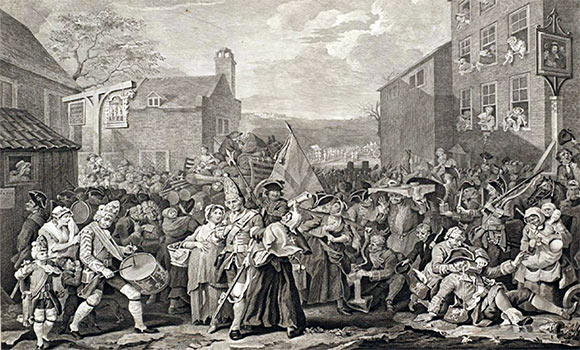 He was of Scottish origin but settled in London having spent a lot of time travelling extensively and living for long periods in England, Belgium, France and Spain. 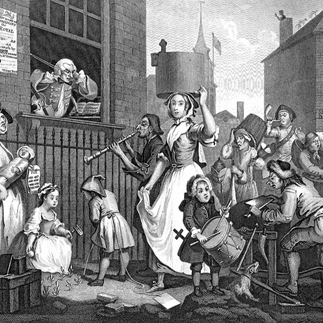 Affleck etched many views in England, Holland, Italy, Belgium and in America. Around 1910 Affleck moved permanently to France and some of his finest art deals with French buildings and their interiors. 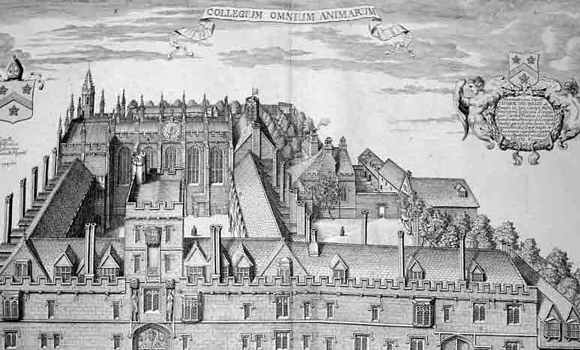 Today, the largest collections of Affleck's original etchings are housed in the British Museum, London. 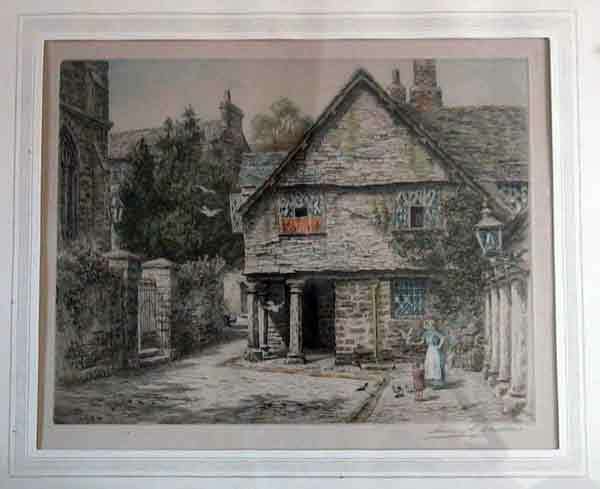 Andrew F. AFFLECK,( 1869-1935) £180 European market Affleck was an Ayr painter and etcher who specialised in architectural subjects,ranked with Hedley Fitton and Axel Haig,also produced a few landscape and topographical scenes. 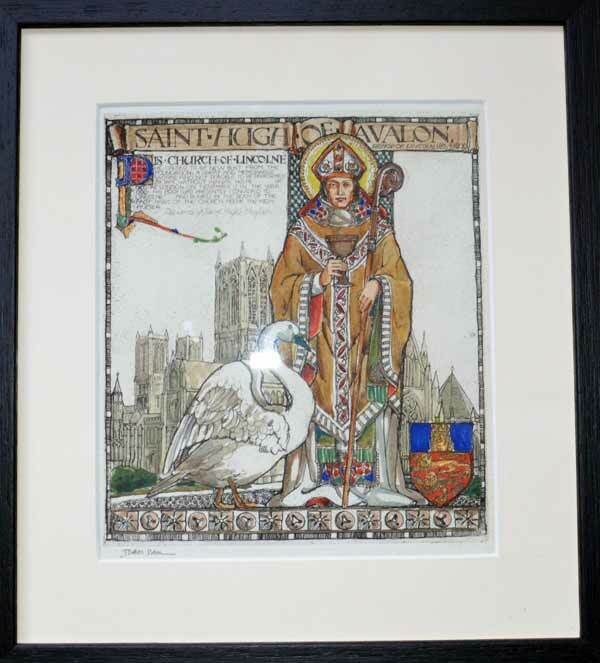 He was of Scottish origin but settled in London having spent a lot of time travelling extensively and living for long periods in England, Belgium, France and Spain. Affleck etched many views in England, Holland, Italy, Belgium and in America. Around 1910 Affleck moved permanently to France and some of his finest art deals with French buildings and their interiors. 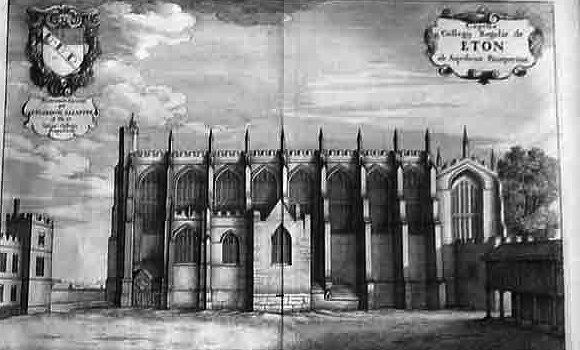 Today, the largest collections of Affleck's original etchings are housed in the British Museum, London. Henry George RUSHBURY, (1889-1968) " Horseguards "